SSC Vocational Result 2018 Technical Education Board Result! Vocational Result is published by the Bangladesh Technical Education Board. BTEB publishes the result and also Bangladesh Education Board. The SSC Vocational Result 2018 will available on this website. If you looking for SSC Voc Result 2018, then stay with us. We discuss all the procedure to get the result. 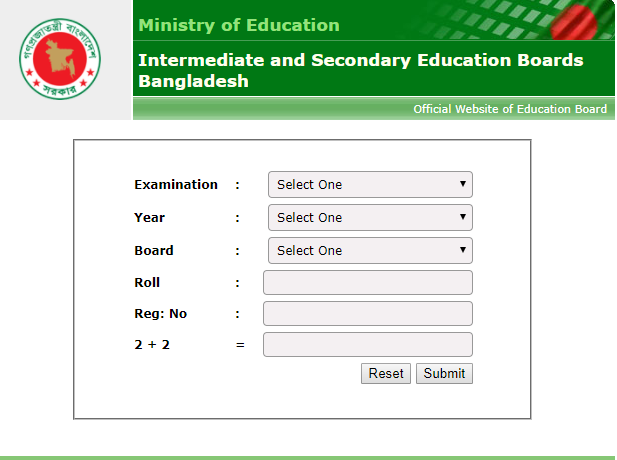 The result will also available on bteb.gov.bd and educationboardresults.gov.bd website. The easiest way to get the result is to visit our site bdresultonline.com. We provide you the vocational result. So stay with us. SSC and the equivalent exam is taken ten education board in Bangladesh. Technical education Board is one of them. And the course name is SSC Vocational. So the result will publish the Technical Education Board. When the result will publish we provide you. The result will publish soon. You know that we provide all the BTEB related result and routine on our website. So don’t worry about your result. SSC Vocational result will publish within two months after the exam. So the result will probably publish on 1st week of May 2018. But the education board try to publish the result early than the previous year. So they try to publish the result on last week of April 2018. If the date will be fixed, then we update here. So visit us regularly. There are several methods to get your result. Online is one of them. For that, visit our website or BTEB website or Bangladesh Education Board website. We discuss here the easiest procedure. 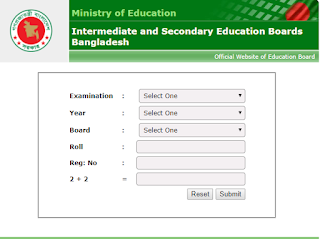 Bangladesh Education Board website is educationboardresults.gov.bd which publish the result. So the result collection procedure we discuss here. Frist visit educationboardresults.gov.bd website. Then select your exam type. You must select SSC (Vocational). Choose your exam year 2018. Select your Board name. You select Technical board. Then type your Roll and Registration number. Type carefully. Calculate math and type the result in the text box. Finally, press the Submit button. After a few moments, your result will appear on the screen. You can also get your result by mobile SMS. You must send the SMS after publishing the result. You can send the message from any mobile operator. The procedure is given below. SSC <space> First three letters of your board <space> Roll Number <space> Passing Year and finally send the message to 16222. Example: SSC <space> TEC <space> 123456 <space> 2018 and send it to 16222. The charge of every SMS is 2.5 TK. So keep balance to send the message. It takes a few minutes to get the return message which contains your result. The student can also get the result by Android App. For this go to Google Play Store. Download the BD Result Official app. Install this app. Provide all details information which they want. And finally get your result from this app. We discuss all the procedure to get SSC Vocational Result 2018. So we accept that you can find your result without any problem. Thank you for visiting us.